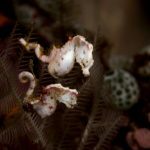 With over 13,000 islands that make up the 5,200-kilometre-long archipelago of Indonesia, it hardly comes as a surprise to know that this is one of the world’s best dive destinations. 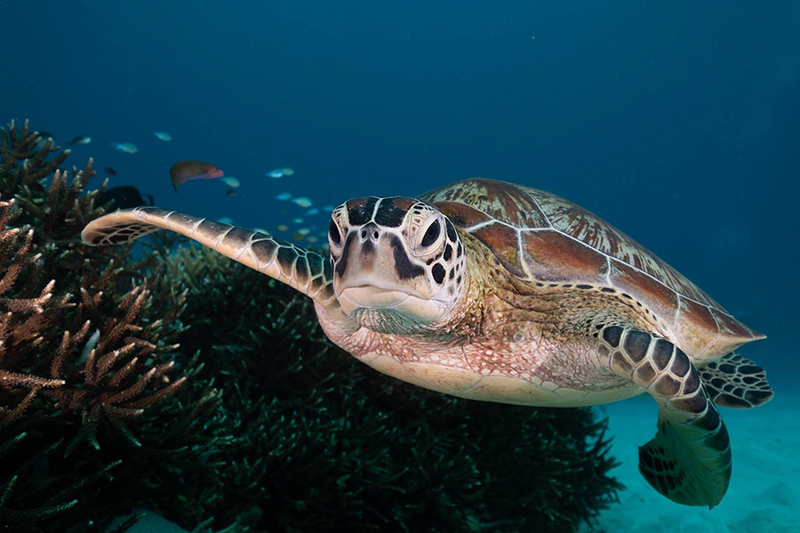 Indonesia forms a part of the Coral Triangle, the global centre of marine biodiversity, which means you’re likely to find more sea life here than anywhere else in the world! Plus, with a dizzying array of places to choose from, you’ll want to keep coming back for more no matter how many times you visit the country. Look below for more information about the locations we go to. You'll find below our list of the itineraries we run. Click the box to find more information about each route and to see each respective map. 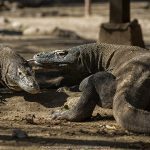 Komodo National Park (named as such as it is the only place in the world you can find the famous Komodo Lizards/Dragons) Itineraries offer an exciting combination of both land-based tours, as well as the best diving this UNESCO World Heritage Site, has to offer! 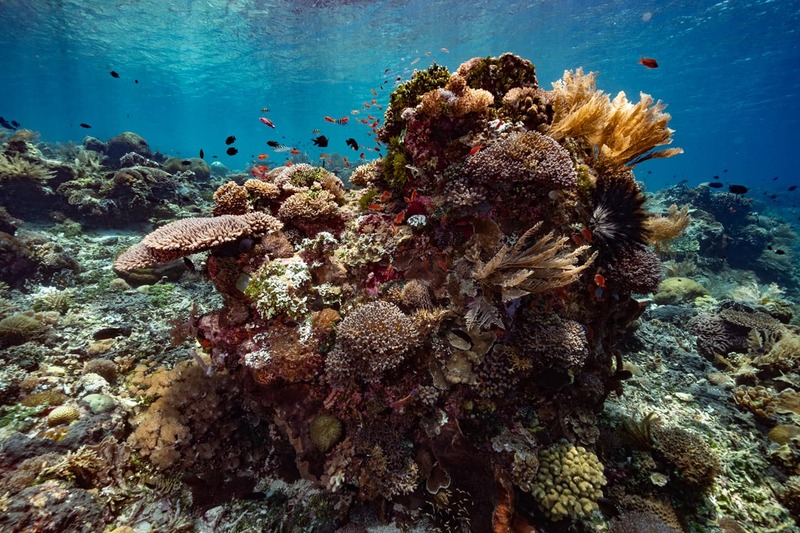 Literally meaning 'The Four Kings' is home to 540 types of corals, more than 1,000 types of reef fish and 700 types of molluscs. 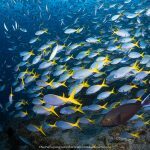 Renowned for its biodiversity and the sheer amount of life, Raja Ampat is a dream destination for any SCUBA diver or snorkeler. 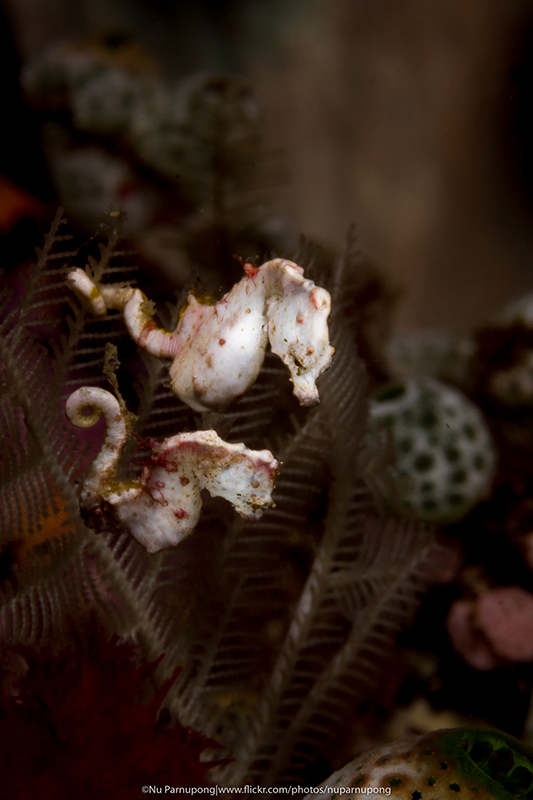 From Giant Oceanic Manta Rays to tiny Pygmy Seahorses, there is something for everyone in our Raja Ampat itineraries. 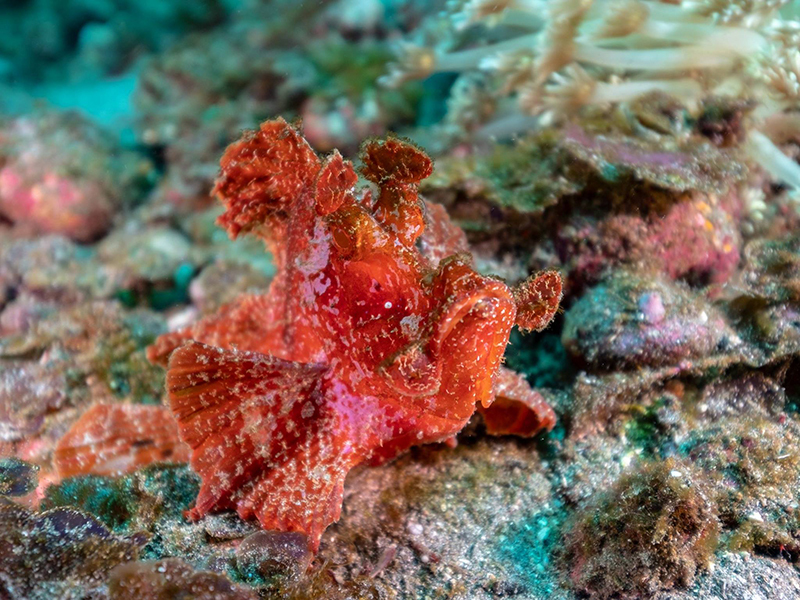 Ambon is very well known for the bizarre critters that can be found - In particular it is the only home to the extremely rare Psychedelic Frogfish. 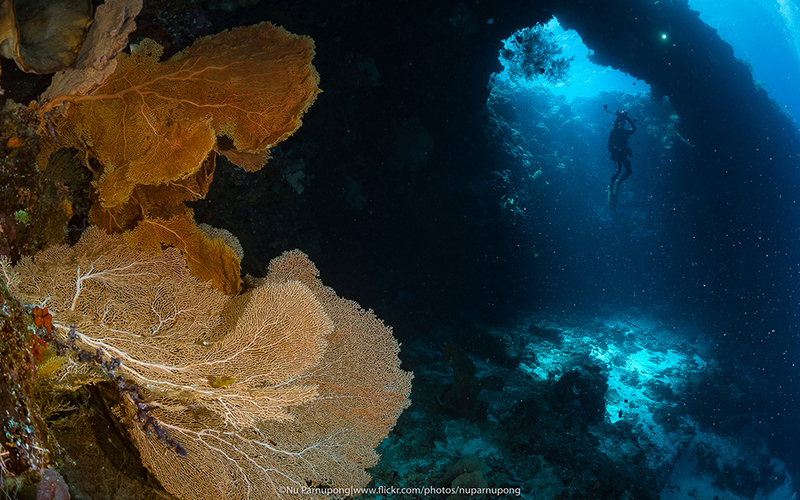 The Banda Islands, on the other hand, are extremely well known for the pristine reefs filled with enormous barrel sponges and sea fans, and the chance to see a school of Hammerhead Sharks. 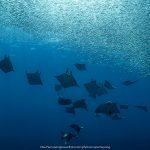 Explore beyond the famous dive spots of Central & North Raja Ampat and delve further South to the seconds largest island of the Four Kings, Misool. If the clear turquoise waters and vibrant marine life bustling around the reef aren't enough, experience one of the rare extremely rare and picturesque Jellyfish Lakes! 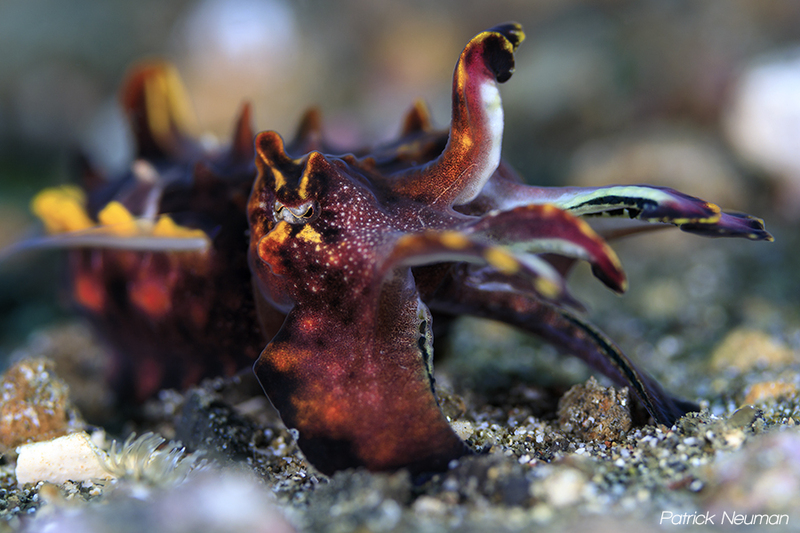 Experience the Legendary Diving of both Ambon & Banda & finish with Maumere. 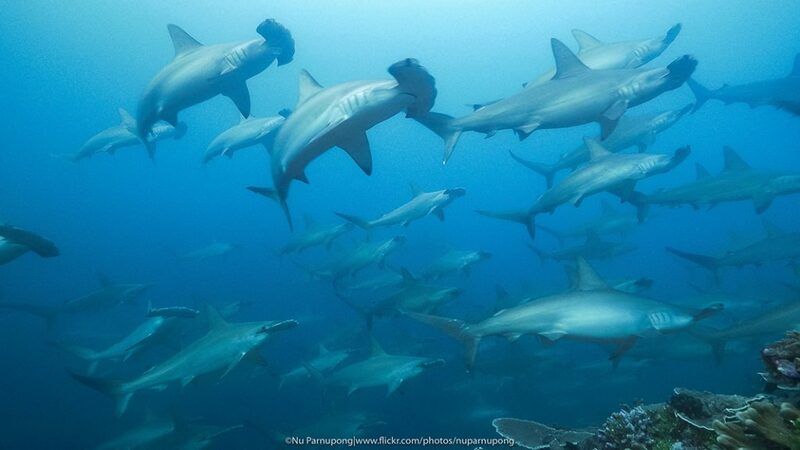 Most known for it's superb muck diving & stunning reef walls - If you're unlucky to not see hammerheads in Banda, there always a chance in Maumere! This trip combines and excellent combination of both macro and wide angle! Join us for one of our special cruises we embark upon as we cross over towards Flores. 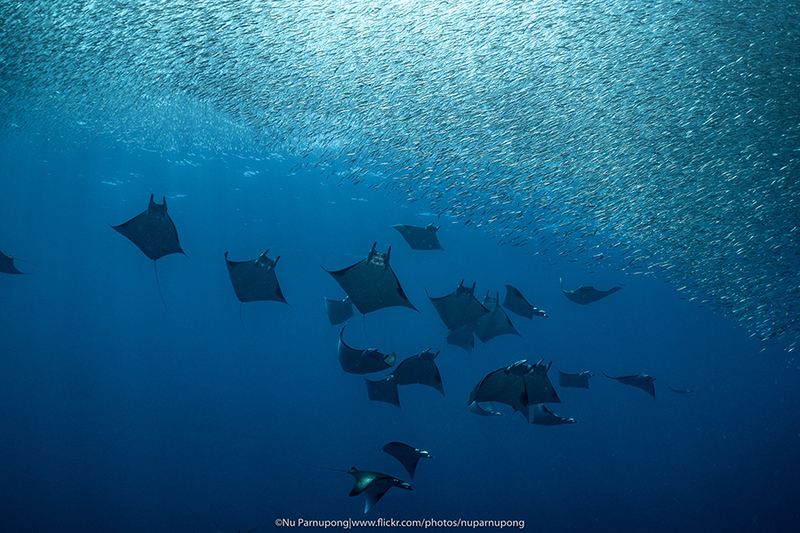 Experience the diverse diving of Raja Ampat & Misool. As we pass through some of the Forgotten Islands and head to Saumlaki we hope to find the Pygmy Blue Whales! 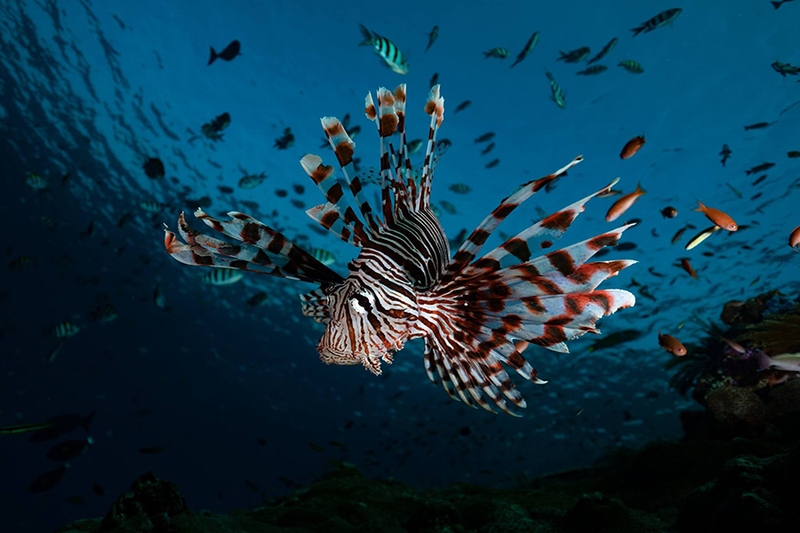 Some of the best and most "off the beaten track" diving around in Indonesia. 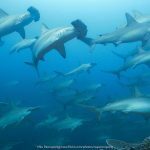 This trip encompasses some of the most versatile diving, from strong currents with big creatures such as Hammerheads & Thresher Sharks to critter hunting in volcanic black sand. Regarded as a favourite itinerary by many, begin with the ever-stunning species-rich reefs of Raja Ampat. Head towards the stunning walls of Banda, filled with enormous Barrel Sponges and Sea Fans and of course the chance to see Hammerhead sharks. 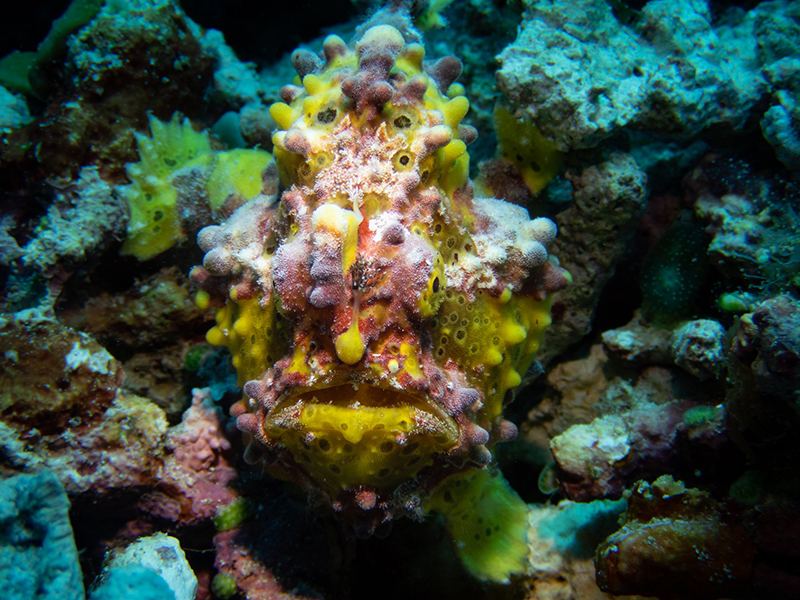 Finally, finish in Ambon one of the most famous macro diving destinations and the only place you can find the psychedelic frogfish. Some of the strongest, but most nutrient-rich currents of Indonesia. 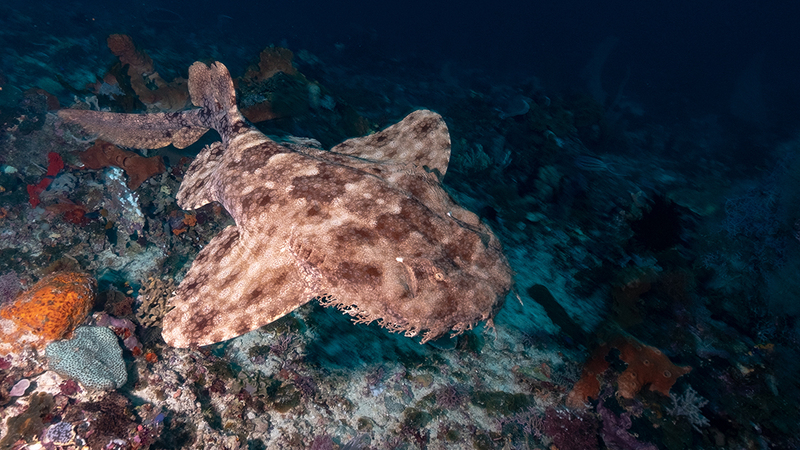 Maumere, mostly well known for its muck diving, also offers stunning channels and reef walls which bring in sharks (even hammerheads if you're lucky) and eagle rays to name a few things. 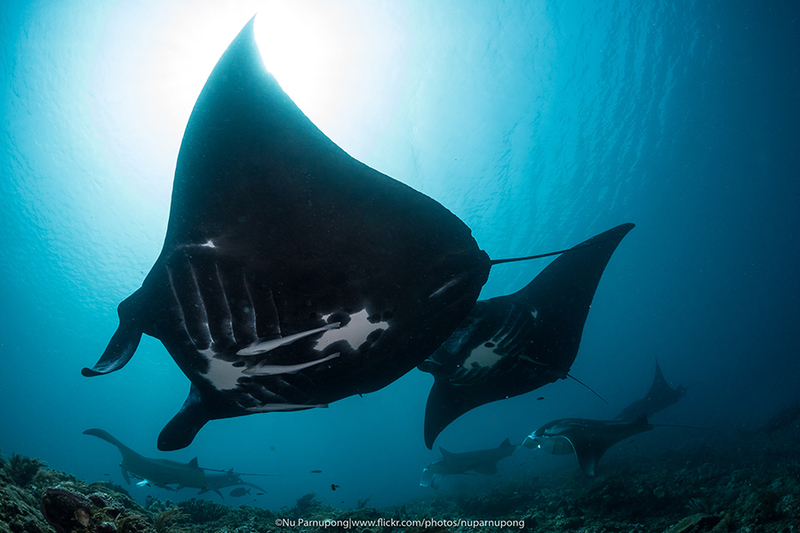 After, voyage across to Komodo, famed for strong currents which allow the vibrant corals to flourish and give us the chance to see Manta Rays! 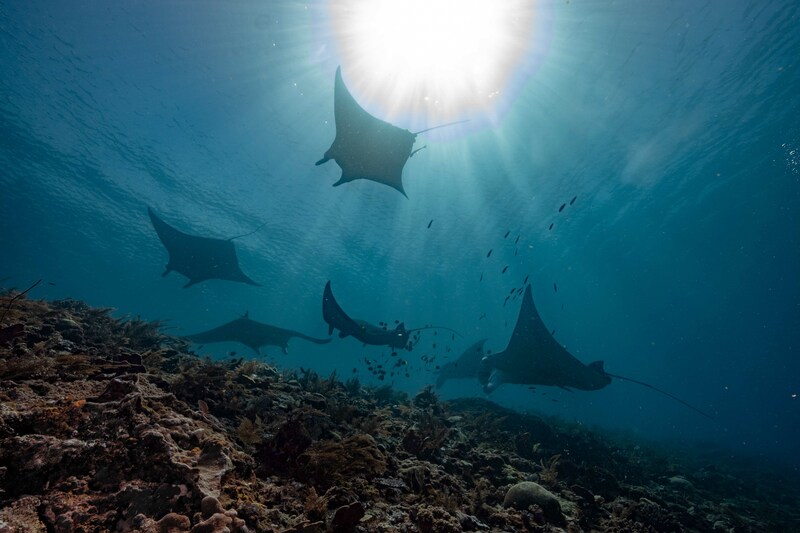 Join us as we make our seasonal crossing over to Komodo - In this route, we voyage across waters that are home to pods of whales as well as dolphins - Through to the sites seldom visited by divers, completely undisturbed reefs bustling with life. 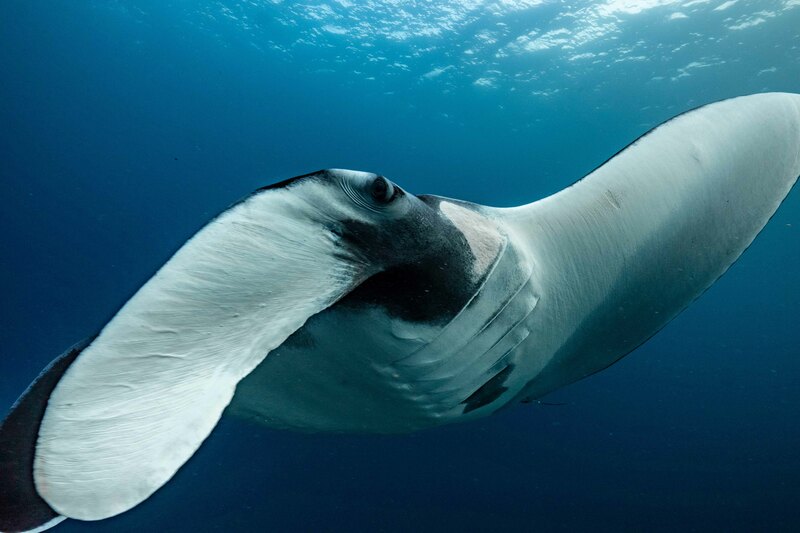 A great route with highlights (if we're lucky) being Hammerheads, Thresher Sharks & Manta Rays. It’s always safety first when it comes to diving with Solitude Adventurer. Our professional crew are trained to meet the international marine insurers and surveyors standards so that all are well-prepared to execute all required emergency and non-emergency procedures. 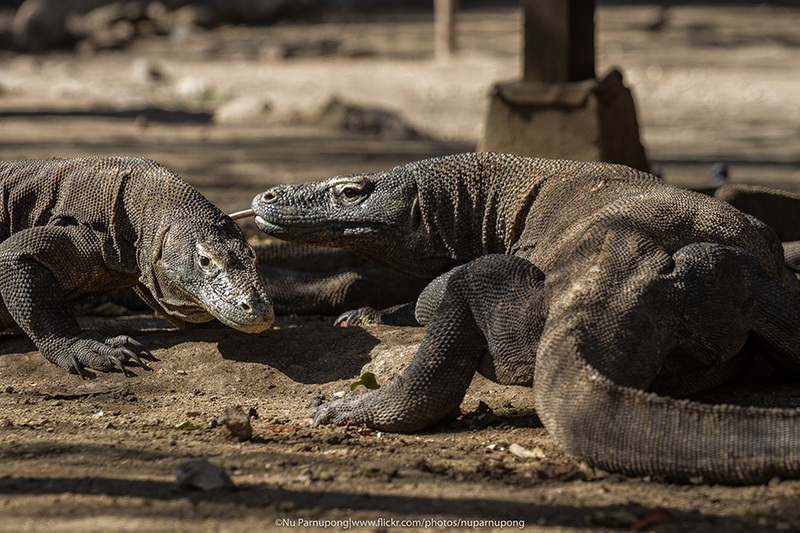 Our guide to diver ratio stands at 1:6 for most destinations in Indonesia, with the exception of Komodo, where it’s capped at 1:4 to ensure every diver gets the attention they need. Do note that solo diving is strictly prohibited when diving with us, even if you are certified. Also, all guests must be equipped with an audible signalling device (like a whistle), dive computer, Nautilus Lifeline VHF (or anything similar), and a surface marker buoy (SMB) when participating in any SCUBA activity with us. Rebreather Support**: Only on Full Charters with Rebreather Divers. Scrubbers can be organized with advanced notice (preferably 60 days or more) but no guarantee or you can order and send it to us. 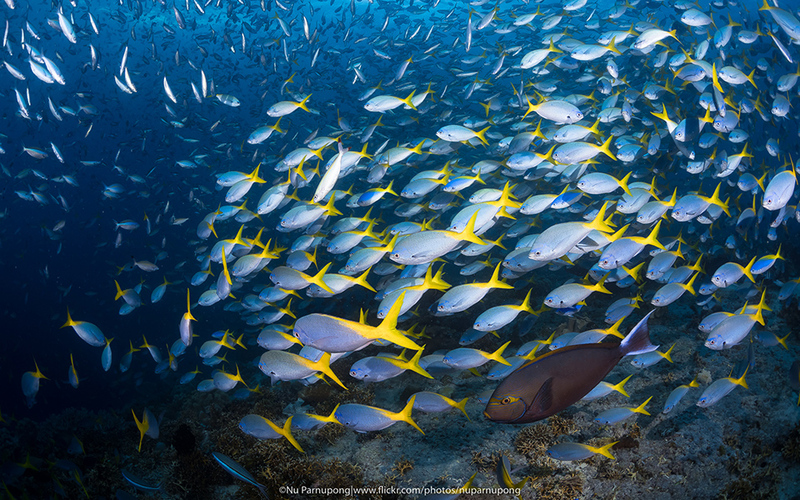 Oxygen supply in Palau is limited as well and expensive. 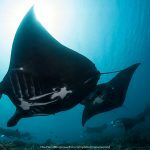 Dive Guides: Ratio 1 to 6 Divers (Private Guide Service available**150USD per Diving Day), Ratio is 1:4 in Komodo. Available for purchase on-board (Advance Order is recommended): Surface Marker Buoy (OPV, SOLAS Reflector), Nautilus Lifeline GPS/VHF Radio (with Pouch), Spools, Dive Pointers, Drift Hooks, O-rings, Hoses and other common replaceable spares. Digital/Camera Studio: 1 PC Desktop station for guest use. Power Socket Type: UK/SG/HKG 3-Pin with Ground.